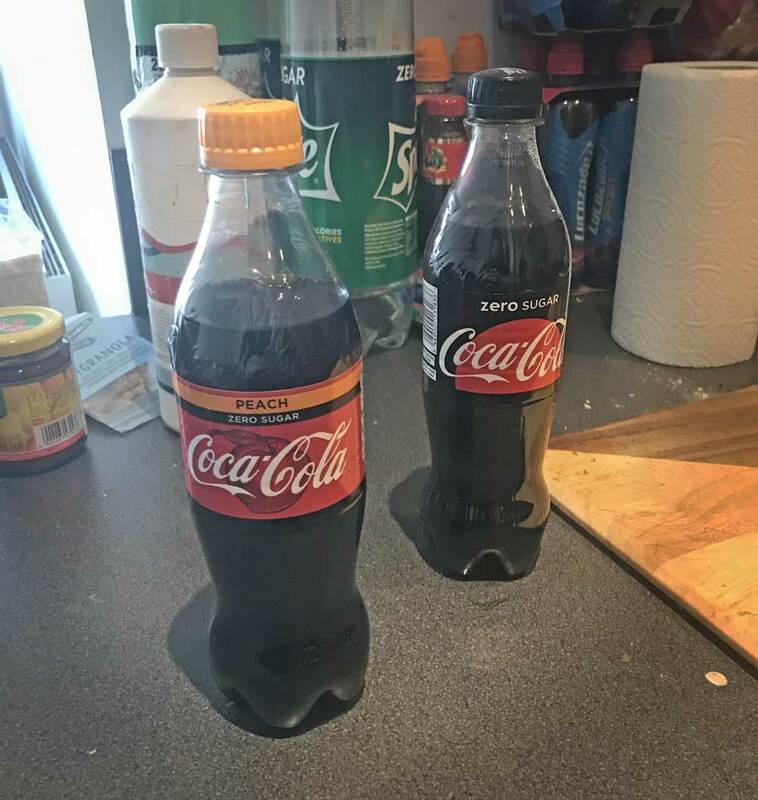 Earlier this month I wrote about how Tesco had begun selling bottles of Coca-Cola that were smaller than usual without making this clear. I went back the next week, and things got worse. This time, I bought what I thought was a bottle of Coca-Cola peach. I grabbed it because I couldn’t see any 500ml bottles of regular coke, and so I decided this was the next best option. Only after I had left the shop, I noticed that it was, in fact, a sugar-free version. It does say that on the bottle. But it’s in pretty small letters. And, more importantly, it’s on a red label. Traditionally, all sugar versions have been in red and sugar-free versions have been black. You can see a coke zero sugar bottle in the background on a black label. Luckily I noticed before I had opened it and returned it for a refund. But I don’t understand Coca-Cola and Tesco are using all of these misleading tactics. This entry was posted on Tuesday, May 22nd, 2018 at 11:00 am and is filed under Life. You can follow any responses to this entry through the RSS 2.0 feed. Both comments and pings are currently closed.